How to train, bus and ferry your way around Japan. 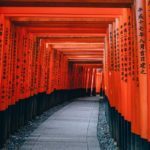 When it comes to modes of transportation, Japan is one of the most convenient, interconnected countries in the world. Whether traveling by plane, bus, ferry, cable car or shinkansen (bullet train), Japan provides all, priding itself on efficiency and punctuality. If, for example, the schedule says that the train/plane/bus/ferry will leave at 3:35, it will leave at precisely that time, never early, and very rarely late. Depending on your destination, there is a good chance that you will need to use one of the following methods. Besides public transit, check out price ranges for transport and more on the Country Guide and Travel Tips section. Most people interested in traveling to Japan have heard of their two major airlines: ANA (All Nippon Airways) and JAL (Japan Airlines). While these two airlines tend to dominate the market (ANA currently the larger of the two) there are quite a few smaller airlines that might better fit your trip and budget. If you choose to go with a smaller airline, it might be a good idea to check their special fares. One airline, Peach, offers a Snap Tripper flight, where you fly in the morning to Taipei or Seoul from Tokyo or Osaka and come back to Japan at night the same day. Air Do, an airline based in Hokkaido, allows for reservations to be made via popular communication app Line. But, with any airline, be aware of additional fees to the price of the ticket (such as baggage restrictions and priority seating). Here are airlines with English support to get you started. Australia and New Zealand; all of Japan. with routes to South Korea, China, Thailand and Taiwan. 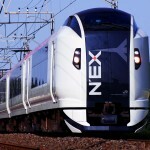 Read GaijinPot Blog about travel directions to Narita Airport. See our GaijinPot Travel guide for more info. Read about travel directions to Haneda Airport. Read GaijinPot Blog about travel directions to and from Chitose Airport. If not familiar with the train systems in Japan, the complex maps and charts on the platform may appear to resemble a labyrinth of intersecting colors. There is, however, a method to the madness, and it starts with understanding the six colors of JR (Japan Rail). Since 1987, JR has taken over from the government most of the railways in Japan, and its color-coded system can help direct unsure travelers. Within JR are different types of passenger trains, depending on the route. When reading the screens on the platforms, you will probably see one of the following words describing the next train coming in to the station. When you see “Local,” or this kanji 各停 (kakutei) this means the train will stop at every station. If you have a long way to go, there are sometimes announcements (not usually in English) that a Rapid train going the same direction will be stopping for a moment. If you are going to major train station, you can save a few minutes, run across the platform and hop onto the Rapid train. Seeing “Rapid” (kaisoku, 快速) means that the train will be skipping smaller train stations to provide a quicker ride. If your destination is not near a major train station, it’s best to stick with a local train so it doesn’t skip your stop. A “Limited Express” (tokkyu, 特急) train should probably be called “Super” Express, because it is the fastest option for train passengers looking to get from one major train station to another. As with “Express,” there is commonly an extra fee, as well. Japan’s “Bullet Train” (shinkansen, 新幹線) is just that, moving at speeds at 200mph as passengers enjoy spacious seating and a smooth ride with bathrooms and, on longer routes, a snack cart. If you are in one of Japan’s major cities like Tokyo, Osaka or Yokohama and plan on only traveling within the city, a faster and less congested option might be to take a Tokyo Metro subway line. For short-distance trains, such as local and rapid, there are no specific designations for seating — every train-car has the same rules. On long-distance trains, such as the Tokaido Line, there is the option of buying a Green Car/Club ticket. This will provide you with more comfortable seating and fewer people crammed into one space. This option is popular on shinkansen and limited express trips, where there are wider, comfortable seats and very little congestion. Prices vary according to season. There will be ticket machines close to the turnstiles. Usually there will be an “English” option on the screen. If there isn’t, you can find an employee close to the line of turnstiles and ask them to help you after giving him/her your destination. You can buy an individual ticket, or load money onto an IC (integrated circuit) card at major train stations. (Very local train stations will sometimes not have a machine to buy or recharge a card). There are two most widely used types: Pasmo or Suica. 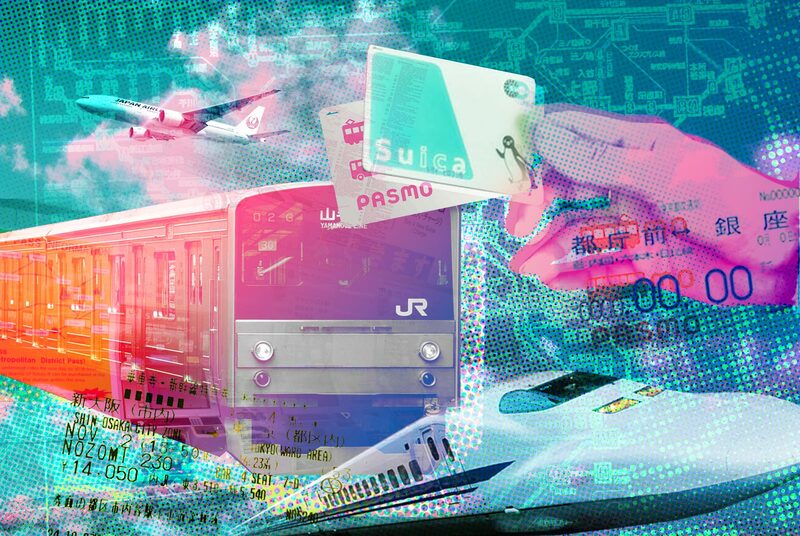 The Suica card is from JR, and Pasmo is from a non-JR rail company. Both are interchangeable (you can use either on the subway or JR line in most cases) and require a ¥500 deposit. When you finish using it, you can return the card and receive your deposit back. If you have bought an individual ticket (the same size as half a stick of gum), go ahead and insert the ticket into the slot of the turnstile. It will come out on the other side as you walk through. At the end of trip, you’ll do the same, but the ticket will be taken by the machine. If you are using a card, simply follow the person ahead of you and touch the card to the illuminated area. You’ll hear a ding and be allowed to go through. If it doesn’t work initially, try touching it again, but if that doesn’t work, it likely means you have insufficient funds and need to recharge it at a nearby charging machine. The brand name of this card changes depending on where you live. For example, Suica or Pasmo are used in the Tokyo area. If you are planning to visit Japan for 1 to 3 weeks, one convenient way to travel would be to purchase a JR Rail Pass. In order to qualify, you need to be (a) a non-Japanese national, (b) entering Japan with the status of “Temporary Visitor” (the typical designation for tourists planning to stay less than 3 months), and (c) have tourism plans, such as visiting a city or landmark. A seven-day pass starts at ¥28,000, or about 255USD. A two-week pass is ¥45,000 or about 407USD, and a three-week pass, the best deal and the longest time frame available, costs ¥58,000 or 521USD. If you’re worried about being packed in on a train, it might be worth the extra cost to purchase a Green Japan Rail Pass. This pass also comes with complimentary drinks on select routes as well as roomier train-cars and seats, especially on the shinkansen. Within each pass are smaller passes that you can select from. For example, you can pay for a JR North Kyushu pass if traveling only in the northern area of the island. Be careful, however, because the more specific your pass, the chances of it covering all lines, such as a local shinkansen, become smaller. That may explain why the pass at first seems so cheap. Perhaps you are planning to only travel from your nearest local station to another station. If you are, one convenient and cost-effective option is to purchase a commuter pass, or “tekiken” / 定期券 (ていきけん). Commuter passes cannot be bought at all IC card/ticket machines, however, typically you can purchase one at designated machines at major stations. If it is not clearly labeled, ask the train station attendant where to purchase one. 1) Change the Language to English. 3) Press the “Commuter’s Pass” option. 4) Here you will choose the name of your “starting” train station. 5) Next, you’ll select your “end” or “arrival” station. 6) After you’ve selected your starting and ending stations, you’ll choose the exact train line you’ll be using to travel. 7) Then, you will have a choice of purchasing a new IC card (e.g. Suica or Pasmo) for a ¥500 deposit fee, or using one that you already have. 8) You will then have a choice between purchasing a 1, 3 or 6-month commuter pass. Prices will be displayed on the screen. 9) The next screen will give you a range of dates for when the pass is to be activated. 10) Finally, a prompt will come up asking if you wish to add any additional yen to the total you are about to pay for. This may be a good idea if you are planning to travel outside the two-station route you’ve already planned. If not, go ahead and choose no and pay for your commuter pass. Although you’ll see the rule broken on a daily basis, it is generally frowned upon to eat or drink, especially in a crowded train where space is limited. There is no talking on cellphones while in the train, though if you have to make a call, it is customary to cover your mouth while talking in a whisper. However, texting or using a smartphone or tablet is fine. If you’re traveling with a backpack, keep it on your lap so others can sit. If standing in a crowded train, it is polite to bring your backpack around to your front so you can let others pass behind you more easily. In each passenger train-car, there is a specific section designated for people who have circumstances that make it a bit more difficult to travel. Elderly or significantly injured passengers and women who are pregnant are allowed to sit here. If you find yourself sitting in this section, it’s encouraged to give up your seat so that other passengers with specific needs can sit. Especially in major cities, the government is attempting to crack down on harassment by men that occurs on crowded. One policy to help curb this is train-cars only for female passengers in the mornings from about 7 a.m. until about 9:30 a.m. Check for a pink sign on the windows to see if it is a women-only train-car at that time. For a list of travel apps, check out our Japan 101 Travel section. In Japan, the most convenient option when traveling in major cities is by train, but if you live or are staying outside of major city hubs, taking a bus may be more convenient. Since specific rules vary by city, here is a general procedure to follow when taking a bus. Even if there is no designated marking, most passengers get in a line at the bus stop before the bus comes. Depending on your location, there is sometimes a timetable located on a sign near the bus stop. Unless you are taking a highway bus, passengers should not use the front door when entering the bus. Right after your first step on the bus, you have two choices of payment. There will be a small machine close to the back door that dispenses numbers on a slip of paper. Make sure you grab one as you board. Another option is to use an IC card like a Suica or Pasmo. (Yes, this is the same care you use to enter the train or subway.) On your FIRST STEP onto the bus, make sure you touch your card on the machine near the bus door. Please note: Sometimes you can charge your card directly on the bus, not always, so it is best to have a fully loaded card before boarding. As you ride the bus, you should notice a screen at the front of the bus with many numbers increasing each stop. If you have a white slip of paper, simply match the number on your paper with the number on the screen. That’s the fare you’ll need to pay once you reach your stop. If you have an IC card, you can beep your card against the device at the front entrance. In order to let the bus driver know that you would like to get off at the next stop, there should be either a nearby button to press, or a horizontal cord along the sides of the bus. Press the button or pull the cord down, and you should hear a sound that signifies your request has been made. If using a slip of paper, make sure to use exact change. If, for example, your fare is ¥240, but you put ¥300 into the machine, you have given the bus company a 60-yen profit. Very close to the front should be a coin machine where you can make change before paying. Tip: Depending on how long you are planning to take a bus, it might be more convenient to purchase an IC card so you don’t always have to hunt inside your wallet or purse for coins. They can be purchased at your nearby bus or train station center. The same rules on the train apply for the bus, but since you are in a smaller space, they should be even more closely followed. Talking on your phone is not allowed, and if you try you might receive a public scolding from the bus driver. In addition, try not to take up too much space if you can with extra bags. Eating or drinking is discouraged, but you may see this rule broken from time to time. Last, there are also priority seats on the bus, as with the train. In general, if you see an elderly, injured or pregnant person, it is customary to give up your seat. While train stations have good English information, buses often have little to no English information. An app to look up bus stops is NaviTime Bus Transit Japan. Bus routes also come up while searching for directions in Google Maps, but there is no option (yet) to look for specific buses. Highway buses are becoming a popular alternative to express trains. This is especially true with travelers who wish to see more of the country that exists outside the common train system. Highway buses are far slower but less expensive than your average express or bullet train. 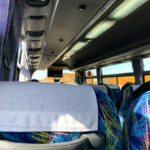 With a pretty easy-to-use English website, Willer is a good place to start if looking to take a highway bus between two nearby major cities, such as Tokyo to Osaka or Kyoto. Tickets can start as low as ¥3,000, depending on the day you travel. Bookings: A few other sites that do bus bookings in English are Japan Bus Online and Japan Expressway Bus Net. Read our GaijinPot blog for a more in-depth guide on highway buses in Japan. Taking a ferry in Japan can be a unique travel experience. Quite often cheaper than traveling by plane, an overnight ferry will allow enough space for you to sleep or enjoy a drink with friends at a restaurant or lounge area. Japan’s ferry network is extensive, and there are also shorter, same-day ferries in areas such as Hokkaido and through the Seto Inland Sea. The length of time it takes to get from one city to another depends on the route and speed of the ferry, but for the selection below, the fastest overnight ferry ride is 11 hours, while the longest is 40 hours. Here are nine major domestic overnight ferry routes to get you started. Second class with no bed is the lowest price available. “No bed” means that you will still receive a cubed pillow and blanket to sleep on a tatami mat. Other ticket options include 2nd class with an actual bed, and 1st class, which includes a bed in a room. Have a car, motorcycle or bicycle? For an extra fee, you can store your vehicle on a lower ferry floor. To purchase a ticket, it is best to go to your local ferry terminal and find out more information. Here are a few passes and online booking sites and info. Japan Ferry Pass 21 – This can be used up to six times within a 21-day period on 14 possible routes. It is organized by Japan Long Course Ferry Service Association and costs ¥21,000. Unfortunately, it is only open to tourists, so foreign residents and citizens cannot use it. Also, it cannot be used over major Japanese holidays such as Golden Week in May, O-bon in August and over New Years. See more information and book a reservation here in English. Direct Ferries offers English-language reservations, though not all routes are available. If you are using the JR rail pass, only one ferry is covered (as of now): JR-West Miyajima. 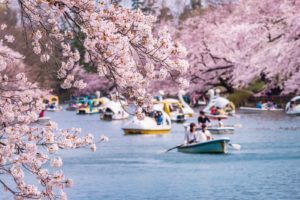 If you are looking for specific directions on what transport to use for travel destinations in Japan, please refer to the travel destination articles on GaijinPot Travel. Each destination location has a “Getting There” section with the best routes to take to get to that place. Discover more on GaijinPot Travel. Make every moment of your Japan trip count with these top travel hacks.